Zac Efron is an American actor and singer. He is known for his roles in the films High School Musical, Hairspray, 17 Again, The Lucky One, and The Paperboy, among others. Zac’s paternal grandfather is Jewish (the son of Jewish immigrants from Poland). The surname Efron, an Ashkenazi Jewish surname, is Hebrew, and is taken from the Biblical place name, עפרוניים. Zac once described himself as Jewish in a skit where he was more or less playing himself (see here), but it is unclear if Zac fully identifies himself as Jewish. Zac’s three other grandparents were/are not of Jewish heritage. Zac’s paternal grandmother’s ancestry included German, Scottish, and English. Zac’s maternal grandfather was of English and German descent, and Zac’s maternal grandmother had English, possibly around one quarter Irish, and distant Dutch and Belgian [Flemish], ancestry. One of Zac’s maternal step-grandfathers, Irving Lipskey, was Jewish. Zac is an agnostic, and has never been religious. A picture of Zac with his father can be seen here. 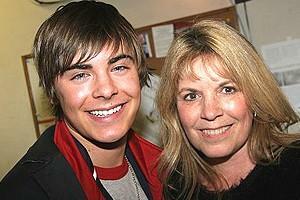 A picture of Zac with his mother can be seen here. A picture of Zac with his paternal grandfather can be seen here. No genealogical connection between Zac and writer Nora Ephron has been established, but is possible. Nora’s family’s surname was spelled Efron generations back. Zac’s paternal grandfather is Harold Efron (the son of Nasko/Nossen “Nathan” Rueben Efron and Dworja “Dora” Kleszczelska/Klein/Kleiniskyoff). Harold was born in New York, while Harold’s parents, known as Nathan and Dora in the U.S., were Jewish immigrants (Nasko from from Boćki or Siemiatycze, both in Poland, and Dworja from Boćki). Nasko and Dworja married in 1927 in Zabłudów, Białystok, Poland. Nasko was the son of Leibel Efron and Gitel “Gutka” Worona. Dworja was the daughter of Nathan Kleszczelska/Klein/Kleiniskyoff and Dvora. 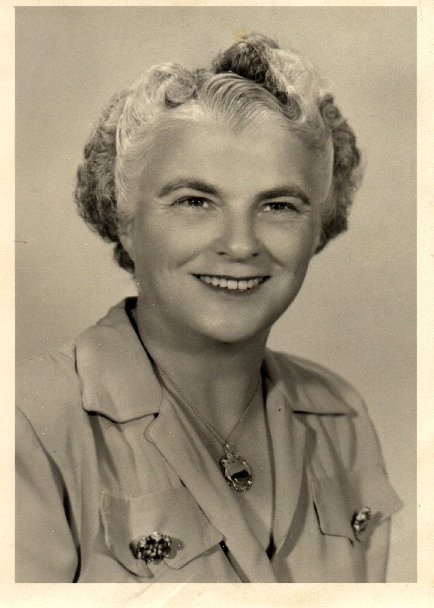 Zac’s paternal grandmother is Dorothy Rhe Karcher (the daughter of George Lippincot Karcher, Jr. and Mildred Geneva Cooper). Dorothy was born in Idaho, and has German, Scottish, and English ancestry. George was born in Pennsylvania, to Pennsylvania-born parents, George Lippincot Karcher and Elizabeth Janet McRobbie. Mildred was born in Idaho, to Minnesota-born parents, Alonzo Byron Cooper and Mary Ellen Hipsley. Zac’s maternal grandfather was Robert Harold Baskett (the son of Roswell C. Baskett and Matilda A. “Lillie” Bade). Robert was born in Washington. Roswell was born in Washington, to a father from Missouri, Charles Monroe Baskett, and a mother from Tennessee, Mary/Martha Isabelle Daily/Dail. Roswell had English ancestry. Matilda was born in Wisconsin; Matilda’s father, Albert Carl/Charles Bade, was born in Wisconsin, to German parents, while Matilda’s mother, Bertha A./Emily Herrmann/Herman, was a German immigrant. Zac’s maternal grandmother was June Helene Glidden (the daughter of Joseph Henry Glidden and Helene Durgan). June was born in Washington. Joseph was born in Michigan, as were Joseph’s own parents, Elmer Joy Glidden and Luzelle/Luzell Richmond. Elmer had English, as well as distant Dutch and Belgian (Flemish), ancestry. Elmer’s patrilineal line traces back to John Glidden, who was born, c. 1550, in Pancras, near Bideford, Devon, England. Zac’s great-grandmother Helene Durgan was born in Washington state, to a father from New York, Edmund/Edward Durgan, and a mother from Michigan, Angie Estelle Baker. Zac’s great-great-grandfather Edmund/Edward Durgan’s parents were Canadian, and he was of Irish or part Irish ancestry. The surnames Richmond and Baker are often English. Zac’s great-grandmother Helene (Durgan) Glidden wrote the 1951 novel The Light on the Island, about her childhood growing up on Patos Island, Washington, where her father (Zac’s great-great-grandfather) was lighthouse keeper between 1905 and 1913. Why “with the rest of Zac’s ancestry being”? Zac reminds me of this Israeli model, Eliran Biton. I don’t think so. Zac looks more like Joaquin Phoenix now. I suggest to upload a recent picture of Zac. I think the current Zac Efron picture is better. He still sort of looks like that. Efron looks like Robby Benson also. I think Joaquin Phoenix looks like Michael Stuhlbarg. the current picture is obviously better, Zac is a bit overweight now. I’ve got a somewhat similar ancestry with Welsh, Belgian (Flemish), German, English, Swiss-German, Norwegian, distant French(not confirmed) and distant Dutch. I’ve got brown hair and green eyes, and very pale skin. he looks kind of like jared leto. they could be brothers. LMFAO funny how you disagree with me, but yet millions of others agree with me. Just google “Zac Efron looks like Jared Leto”.